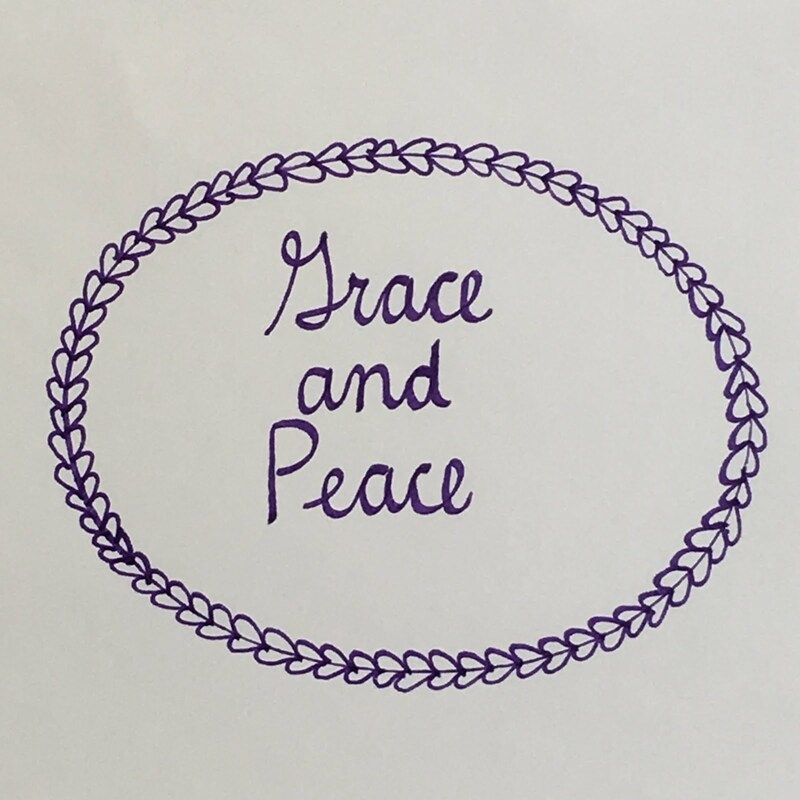 Grace and Peace Quilting: T-Shirt Quilt Love! Don't you just love t-shirt quilts?! They're each so unique and interesting. They tell a life story. At least a slice-of-life story. 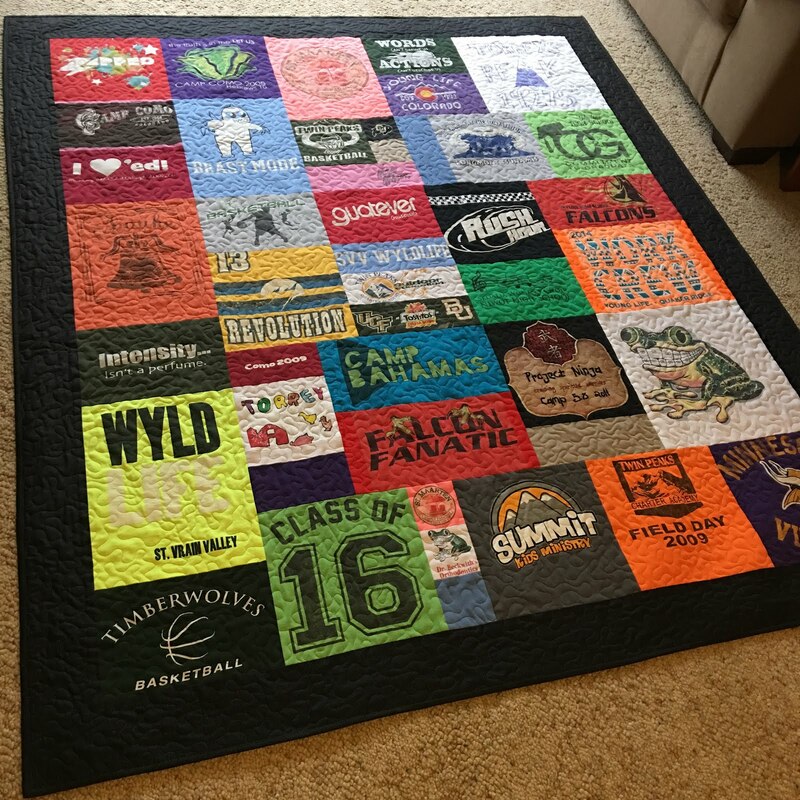 Here's a t-shirt quilt I quilted recently for Laura. It was her first quilt ever! She did a great job. Laura made this for her son, for his Christmas present. It includes many of his high school and college t-shirts. And here's one I quilted recently for Lynn. I love seeing the different quilt settings and color themes people use, often times related to school colors. Sally made this quilt for her granddaughter's high school graduation. 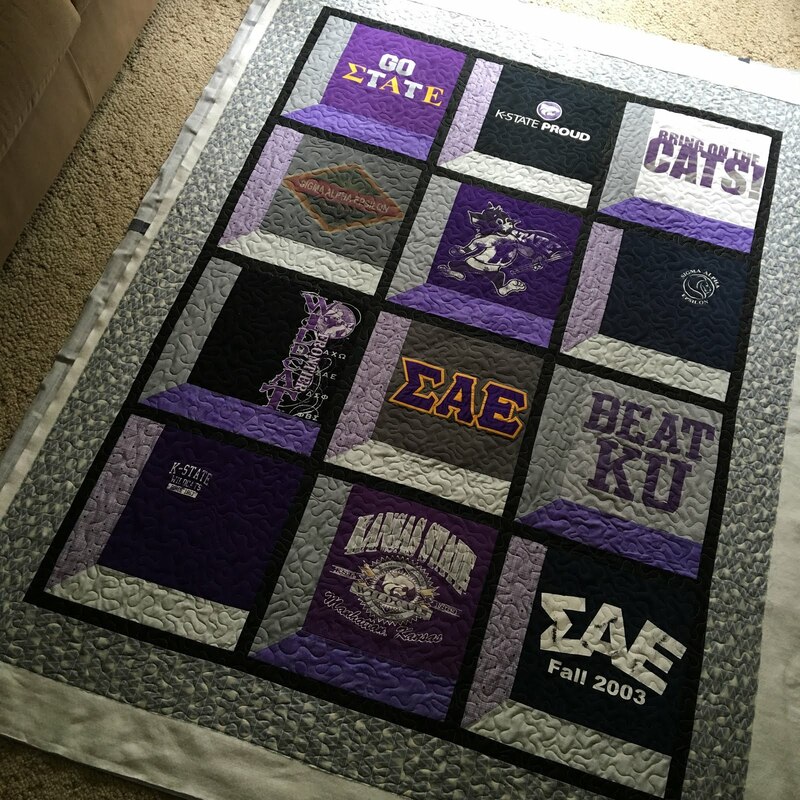 It was her first quilt, also! Her granddaughter, Torrey, graduated in May of 2016 and is currently on the WORLD RACE! The World Race is a one year mission trip to many countries. 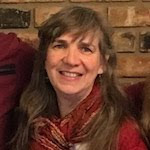 You can find her blog here--she is currently in Ecuador. Susanna, our DD2, is planning on going on the World Race herself, sometime in the near future. 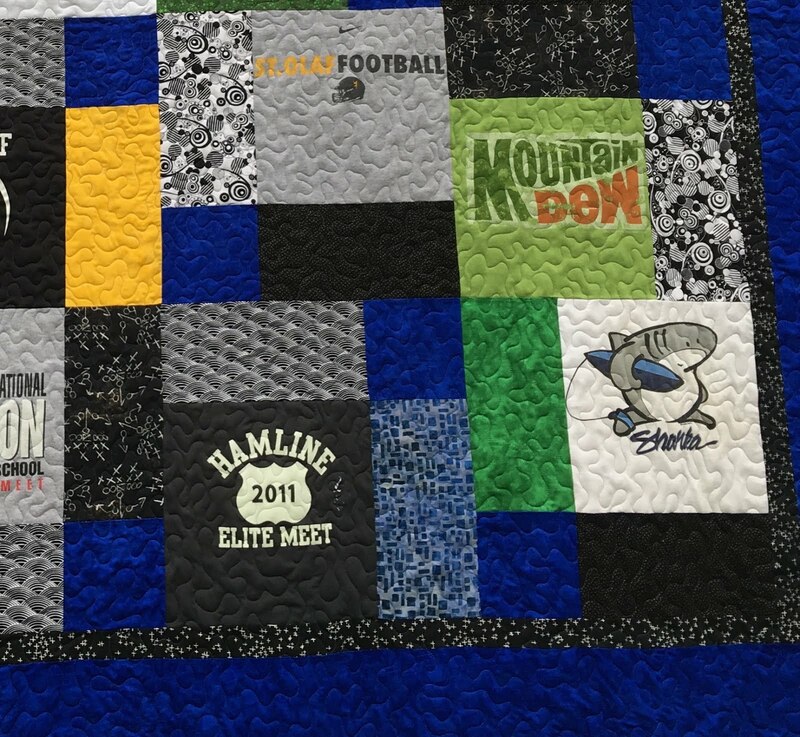 This is Jennifer's quilt--with t-shirts from the many Spartan Races she's participated in. 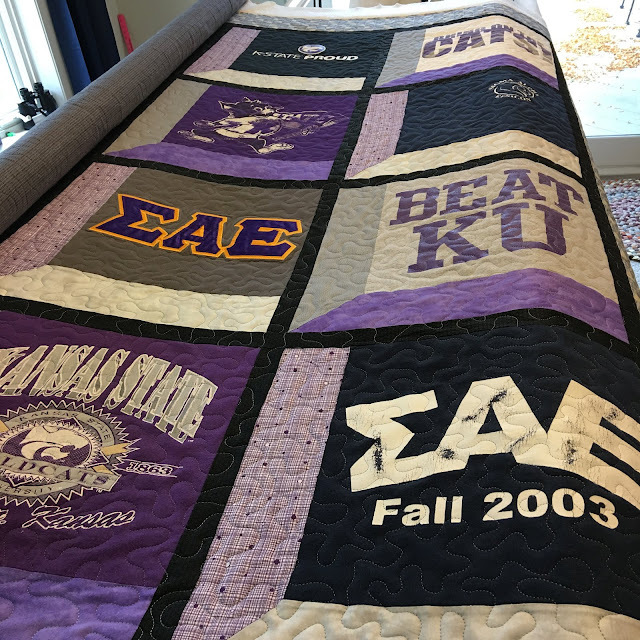 It was also her first quilt. 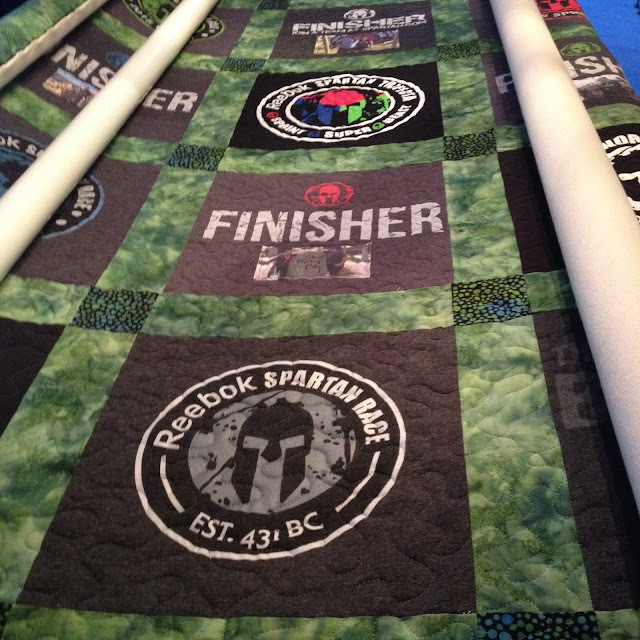 Her analysis--it's easier to run a Spartan Race than make a quilt!!! I think that might depend on the person!!! 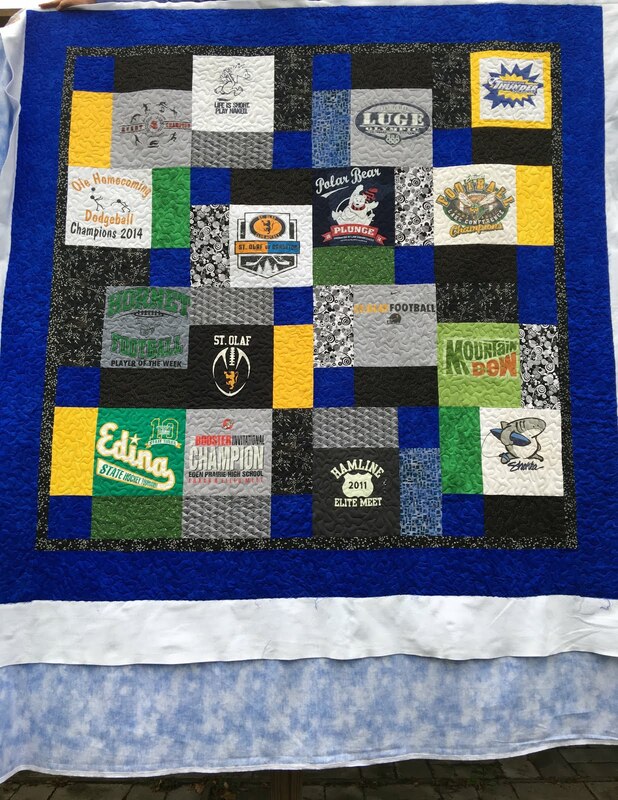 Here's a quilt I quilted for Norinda. It was a retirement gift for the principal of the school she works at, in Garretson, SD. It included an entire polo shirt front! These are all client quilts--they made the quilt tops and I quilted them. 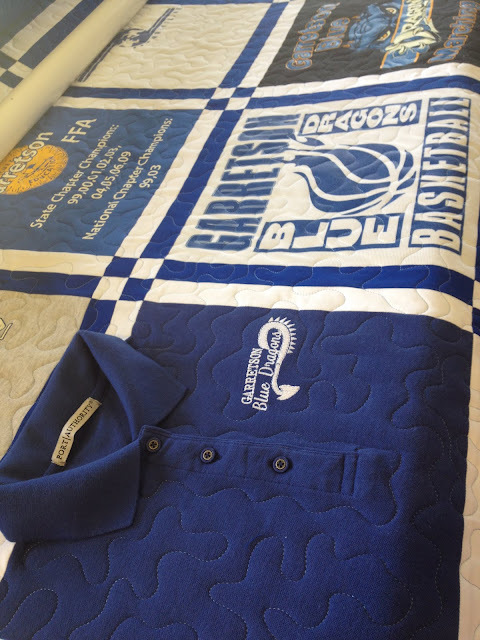 Next time I will post photos of the t-shirt quilts I've made, start to finish. 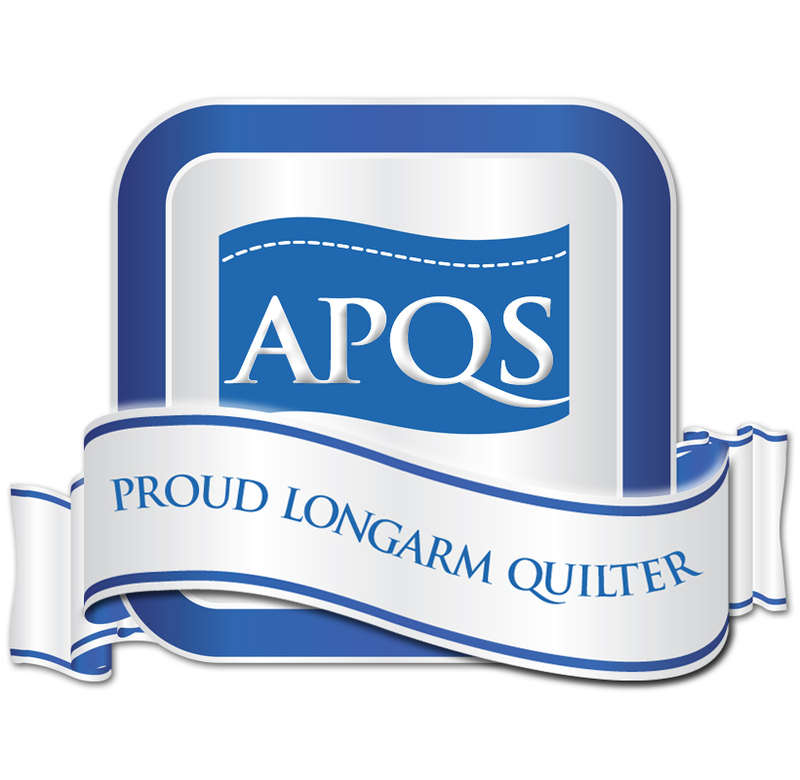 Linking to Confessions of a Fabric Addict--Can I Get a Whoop Whoop? 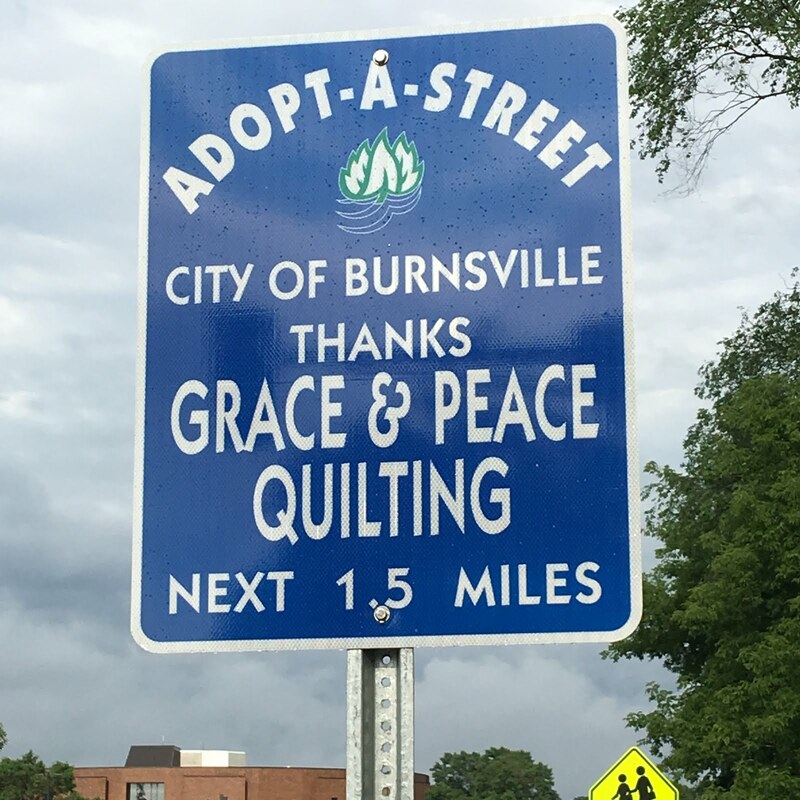 Bonnie Hunter Mystery 2016 Kick-Off!! !